Earl Stewart On Cars: A “TOOL” FOR AN HONEST PRICE FROM A CAR DEALER, AT LAST! A “TOOL” FOR AN HONEST PRICE FROM A CAR DEALER, AT LAST! The form above was created based on a discussion with Nancy Stewart, my co-host on our radio show, “Earl Stewart on Cars”, last Saturday. 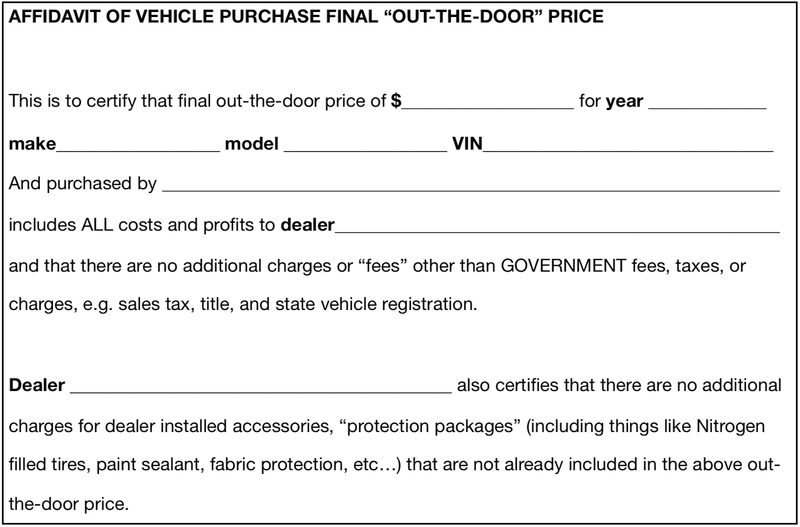 The next time you purchase a vehicle, insist that the price quoted to you by the salesman be certified by the signature of a manager of the dealership; or, if you are responding to advertisement, be sure that the advertised price is so certified. Most of the skullduggery by car dealers comes from two sources, hidden fees added after the price is advertised or quoted and dealer installed accessories that are pre-installed on the vehicles, but not included in the advertised or quoted prices. You can even use this form when you shop by phone or online. Fax or scan and email the form to the car salesman and insist that he sign it and fax or email it back. 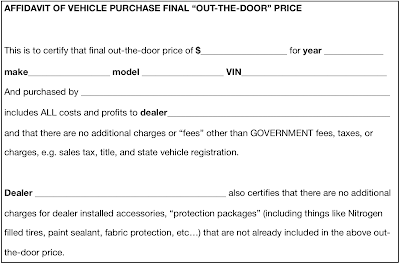 You may even be thinking, what if the car salesman refused to sign this document? My answer is simple…LEAVE!